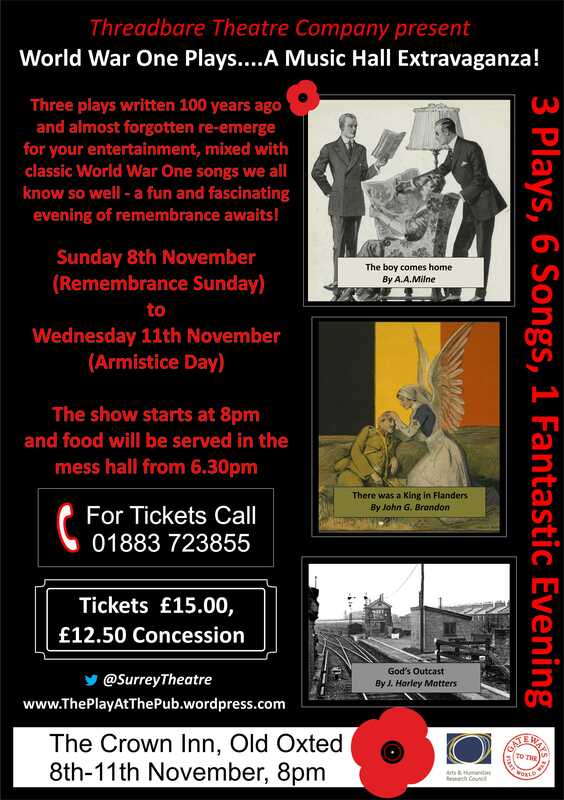 Threadbare Theatre Company are excited to announce their latest production, an evening of 3 First World War plays lost for 100 years. 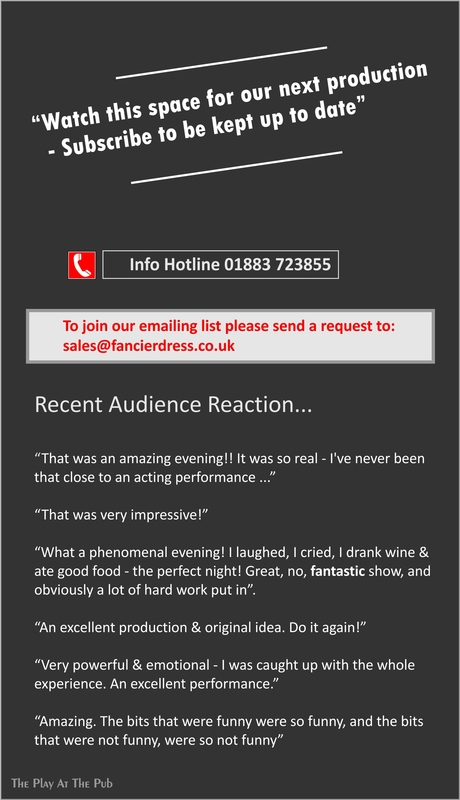 Book your tickets now as there are only 4 nights available to see this unique production. Click on the picture below for a larger version. A New production is coming to The Crown Inn in November 2015! We’ll publish more details here very soon.